Our Standard YBICO 16mm Steel Strapping Sealers are designed to use with SO (snap on) seals. 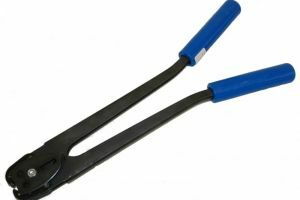 Their full Metal long handles make them durable and manual sealing easy. Use with our ADL1 YBICO steel strapping tensioner or our AS100 Premium steel strapping tensioner. Our video below shows the ADL4 sealer, however the ADL3 sealer is identical except for its jaw size to suit 16mm seals. The YBICO ADL3 steel strapping sealer is in stock and available for immediate delivery. 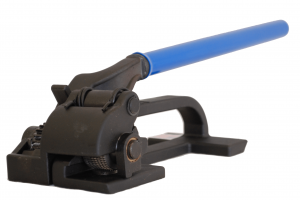 The ADL3 16mm steel strapping sealer comes with a 3 Month manufacturer’s warranty, that covers non-wearing parts. What sort of strap can I use with this tool? The ADL3 must be used with 15-16mm steel strapping. It must be used with our ABB2 16mm SO seals. 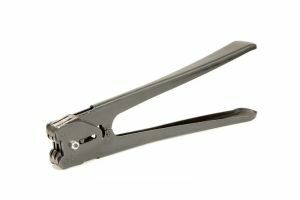 What sort of products can I strap with this tool? As this sealer needs to be used with a flat packaging tensioner you will be limited to strapping larger goods with a flat surface. Such as timber, pallets, shipping crates, pallet racking, square bundles of pipes. Do I need anything else with this tool to strap products? 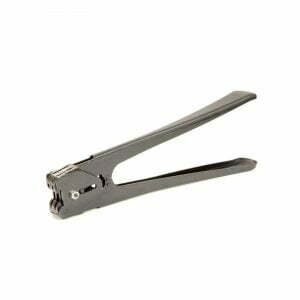 Yes, the ADL3 only crimps the seal, you will need a separate tensioner to tension the strapping. 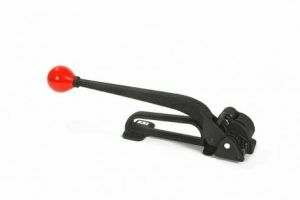 We recommend the use of an ADL1 tensioner or an AS100 USA made tensioner in conjunction with this sealer. Does this steel strapping sealer suit plastic strapping seals or other seals? No the this 16mm steel strapping sealer can only be used on 16mm SO seals, it shouldn’t be used on 12 or 19mm SO seals or any other type of steel strapping of plastic strapping seals. While many sealers are identical in how the operate by clamping the seal. The exact way they do and their jaw configurations are all different.